Defending champions have named a strong squad for the 2017 World athletics championships. Plenty of new names intermixed with veterans. Since Kenya won seven gold medals last time, a number of athletes received an automatic slot in the championships without having to qualify. These include David Rudisha, Ezekiel Kemboi, Hyvin Kiyeng, Asbel Kiprop, Nicholas Bett and Julius Yego. Of these, Yego was the only one to participate in the trials. Hellen Obiri who recently broke the Kenya 5000m record, is in the best form of her life and will challenge for gold in that event. She will have to contend with Almaz Ayana of Ethiopia who is going for revenge having been beaten by Kenyans at the 2016 Olympics. Olympic gold medalist Faith Kipyegon is also in dominant form and will be competing with Genzebe Dibaba who is also looking for a measure of revenge. 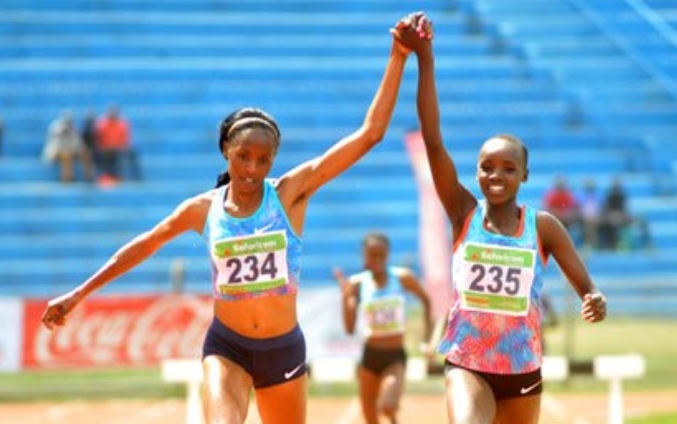 In the women’s steeplechase, new sensation Cellphine Chespol, who broke the Kenya record despite losing her shoe in Eugene, starts in a strong position and will be competing with Kenyan defector Ruth Jebet. A new cadre of newbies who have run sensational times will be depended on for medals including Ronald Kwemoi, Cyrus Rutto and Timothy Cheruiyot. The steeplechase will be manned by vastly experienced runners. Besides Kemboi there us Brimin Kipruto who has represented Kenya for fourteen years plus Jairus Birech and Olympic gold medalist Conseslus Kipruto. The women’s 10,000m will see another new find Agnes Tirop lead the charge, accompanied by world cross country champion Irene Cheptai and All Africa games champion Alice Aprot. In the men’s 10,000m, world cross country champion Geoffrey Kamworor will be back with Bedan Kaloki as they try again to wrest the title from Mo Farah. Kenya rarely sends sprinters to these games. It is refreshing to see Mark Otieno compete in the 200m. The effervescent Otieno recently broke the Kenya 100m record with a time of 10.14. . This entry was posted in Kenya Athletics News, Kenya Sports news and commentary and tagged Kenya athletes, Kenya runners. Bookmark the permalink.